Lord shiva has 5 different part,in her idol, you can see if you have observed closely. 5 parts like rudraksh, damaru, trishul, Tilak and Ash are most important. Check out importance of each part of Lord shiva. Rudraksha: Rudraksha means the part of Rudra. It is believed that the origin of Rudraksha happened from the tears of lord Shiva. It has been using as jewellery since ancient times. It is also used as protection, planet’s piece and spiritual benefits. There are 17 types of Rudraksha, however, 12 faces Rudraksha is very effective. It can be wear in wrist, throat and heart. It is extremely beneficial to wear on throat. You can wear 12 on wrist, 36 on throat and 108 on heart. You can also wear 1 Rudraksha but it should be till heart and wear it in red thread. Wear it on Krishnpaksha Chaturdarshi or any Monday. It is extremely beneficial to wear on Shivaratri. First, you have to offer to lord Shiva and chant Shiva’s mantra. You have to remain pious and keep your conduct cline. Damaru: Lord Shiva is the promoter of dance and music. Damaru covers all seven music and varnamala. It is the source of happiness and auspicious things. If you use Damaru every day at your home then ominous thing never happen in your home. Trishul: Any corporal, divine and physical power cannot stay in front of lord Shiva’s Trishul. It gives result based on person’s Karma. You can keep lord Shiva’s Trishul on main entrance of the home, for peace-prosperity in the home. However, you should wear Trishul in throat when you have control on your mind, promise and Karma. Tilak: Shiva used Tripund tilak to control Satogun, Rajogun and Tamogun. Its color is white. Any lord Shiva’s devotee can use this tripund. However, one should do red color point in Tripund in special conditions. It is very beneficial to do tripund doing meditation or chanting mantra. 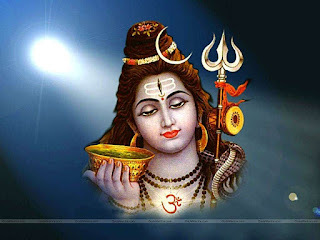 Ash: Lord Shiva is free from every attraction of the world. World’s illusion, everything is ash for lord Shiva. Everything is going to ash at one day. Ash is the symbol of this matter. Lord Shiva’s consecration is done with ash. It gives reclusion and intelligent. You can use ash incense stick in the home. However, women should avoid doing consecration with ash. Remedy: Offer one Belpatra to lord Shiva for 27 days. Your every wish will be fulfilled. What To Donate On Ekadashi ?